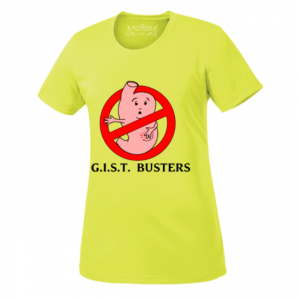 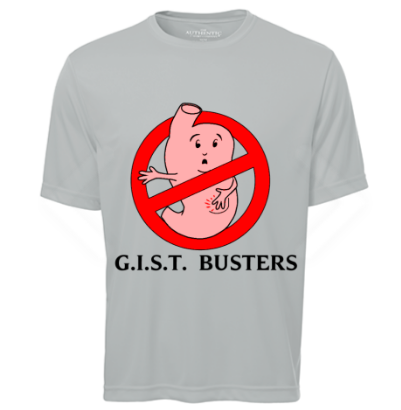 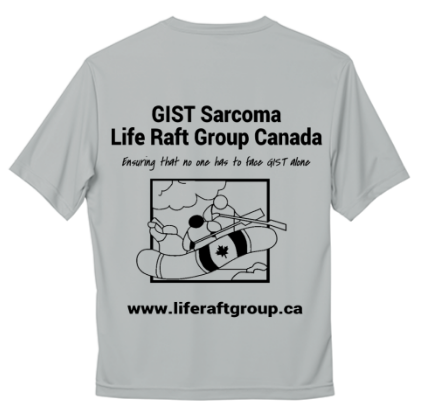 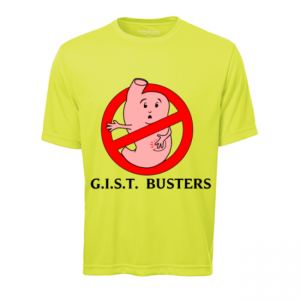 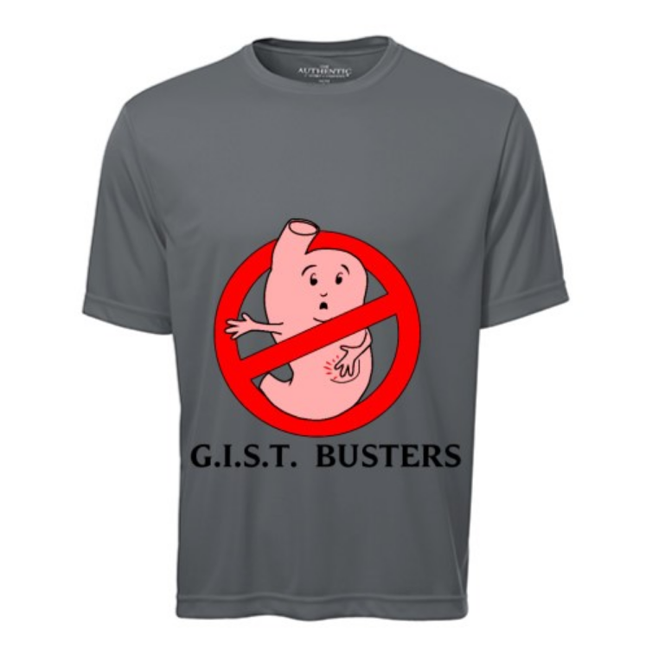 Grey GIST Busters T-Shirt in a men’s cut. 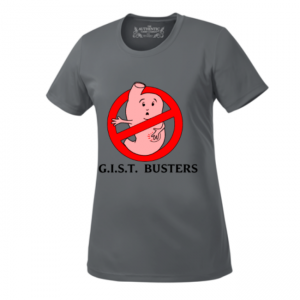 Note: The small grey men’s t-shirt is coal grey (darker). 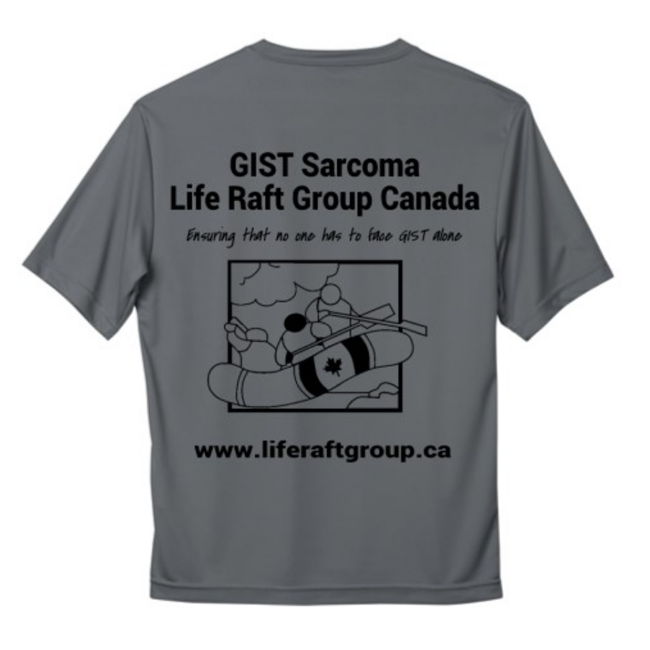 The medium, large, and x-large grey men’s t-shirt are silver grey (lighter).